Ensuring only authorised persons are granted access to buildings, and unwelcome visitors are denied access is a major problem in today’s modern living environments. Access Control Systems solve that problem. At Life Safety Services we offer a complete range of access controlled solutions, which, when combined with Intruder and CCTV systems offer a powerful deterrent to today’s criminal fraternity. paxton1From mechanical single door controls to the ultimate in electronic multi-user, multi-door systems, you can ensure access to your premises is fully controlled. Using the latest technology from leading manufacturers, many systems now utilise computer controlled networks. This allows full integration with other security features including intruder alarms and closed circuit television. 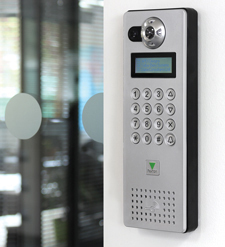 Commercial applications are diverse, including controlled entry to offices, hospitals, leisure clubs and warehouses. Domestic use has also seen an increase with video door entry systems now common place in residential homes, apartment buildings, or for those living alone. To complete our access control portfolio LSS also provide a full range of turnstyles, electronic gates, automatic vehicle barriers and walk through scanners which when integrated with the access control systems provide total control of vulnerable entry and exit points.